Andrew Rabin is Professor of English at the University of Louisville and Fellow of the Royal Historical Society. 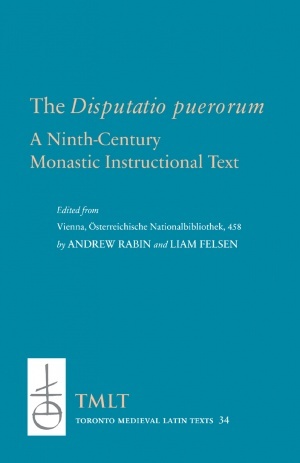 He is the author of The Political Writings of Archbishop Wulfstan of York (Manchester, 2015) as well as numerous articles in such journals as Modern Philology, Studies in Philology, Mediaeval Studies, JEGP, Neuphilologische Mitteilungen, and Speculum. Until 2013, Liam Felsen was an Associate Professor of English Literature at Indiana University Southeast in New Albany, Indiana. He specialized in Medieval Studies and taught courses in Old English, Middle English, Chaucer, Shakespeare, Tolkien, King Arthur, and Science Fiction/Fantasy. In 2013, he left academia to become an attorney, and is now a Senior Associate at Frost Brown Todd, LLC in Louisville, Kentucky, focusing his practice on Product Liability, Insurance Defense, and Commercial Litigation.